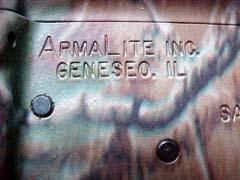 ArmaLite has been in business developing and producing weapons for the military and civilian markets since the mid-1950s. While going through a few changes in both management and location, ArmaLite has survived to become one of the best manufacturers of the most prolific rifle design in the free world: the AR-15. Developed within the fertile mind of ArmaLite's Chief Engineer, Eugene Stoner, in the late 1950s, the AR-15 has evolved into a family of superb weapons serving the U.S. military and many of its allies for the last 35 years, including, but not limited to, the M-16, M-16A1, M-16A2, and the latest M-4. What many shooters do not know is that the AR-15 was developed at the request of the U.S. military after ArmaLite's submission of an earlier rifle into the Army rifle trials of the mid-50s. The Army was seeking a replacement for the M1 Garand, and ArmaLite's entry was the AR-10. The Army ended up adopting the Springfield T-44, giving it the designation of M-14. Had ArmaLite been able to convince the Army brass of the advantages of Stoner's design, we might have never seen the M-14. The original AR-10 was lighter and made from modern materials, but was most likely too advanced for the military mindset at the time. 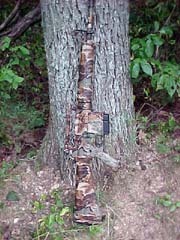 The current AR-10 is offered in both .243 Winchester caliber and the original 7.62 x 51, also known as the .308 Winchester. ArmaLite offers the AR-10 in several different configurations. They have rifles built specifically for hunting, target, and social work. The version received by Gunblast for review in this article would serve well for all three purposes. Upon opening the package, the most striking quality of this rifle is the finish. 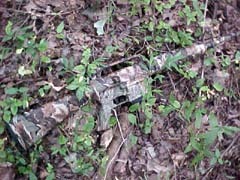 It is finished in Realtree's "Advantage" camouflage pattern, which has been expertly applied to the entire rifle, with the exception of a few small parts. 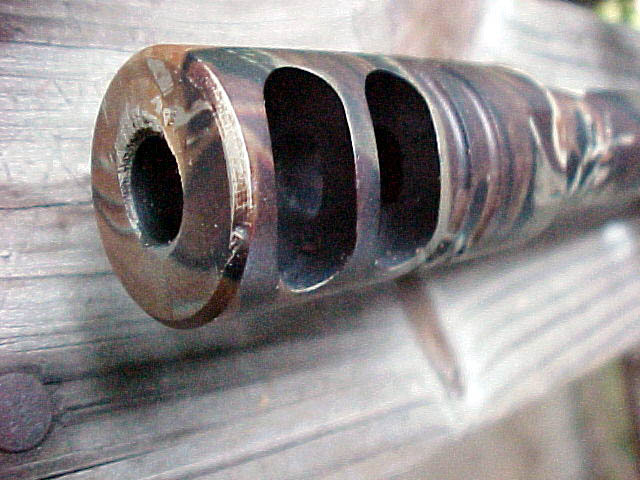 The way in which the finish is applied gives a continuation of pattern over the complete rifle, with no change in pattern between the various parts of the assembled gun. In other words; the weapon was finished as a complete unit. 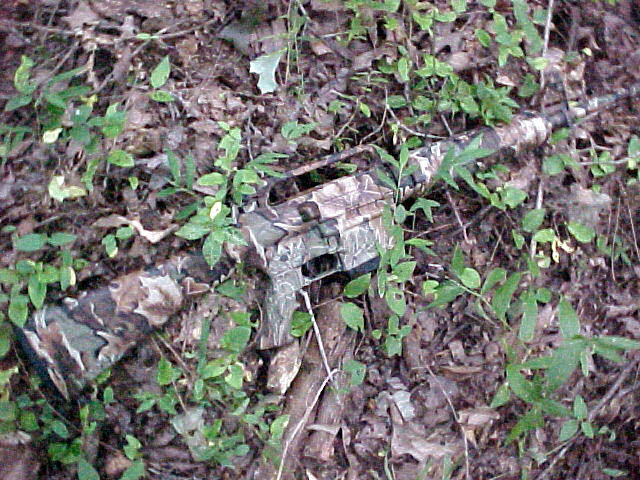 As can be seen in the photos, the Advantage pattern works quite well to camouflage the weapon. ArmaLite also offers the rifle in the Realtree "Hardwoods" pattern, which has more gray in the finish, as opposed to the greens and browns of the Advantage pattern. 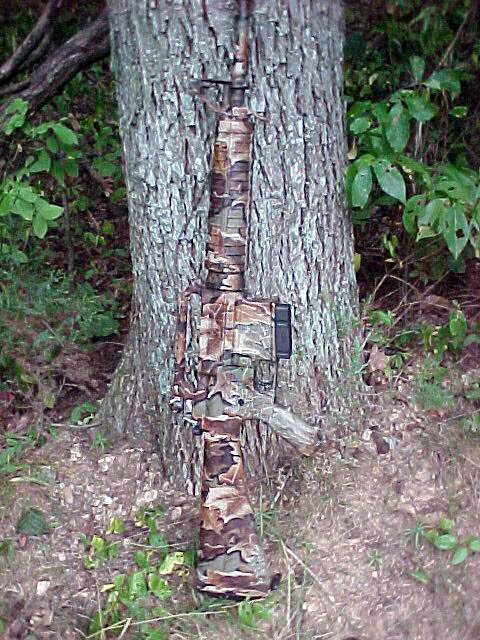 For an all-around camo pattern, I think that the Realtree Advantage is the better of the two, at least for my area of the world. The way in which the finish is applied, even to the smallest of parts, is absolutely flawless, and greatly exceeded my expectations. The version of the AR-10 which I received is referred to as the AR-10A2, meaning that it wears a twenty inch heavy barrel (HBAR), and has the non-removable carry handle with the excellent A2-style adjustable battle sights, and the standard trigger. The fit between the upper and lower receivers was tight and well-fitted. 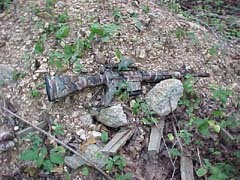 The AR-10A2 is a good general purpose rifle, weighing in at nine pounds and thirteen ounces, and an overall length of 44 inches. The rifle balances well and is easy to carry with the built-in handle. 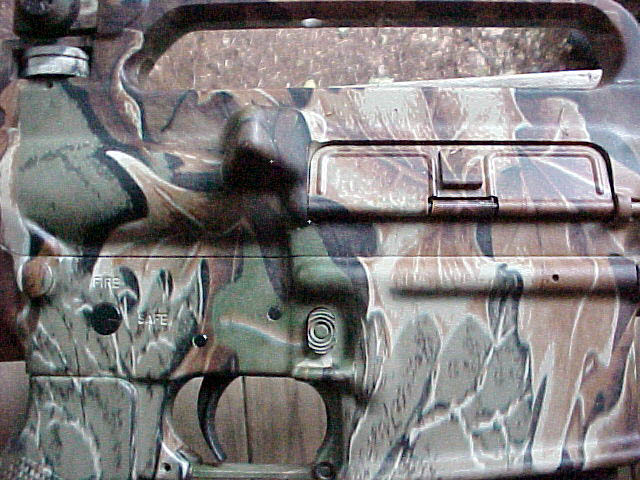 The AR-10 was fired with both military and civilian ammunition. Functioning through the entire test was flawless. The rifle fed, fired, and ejected all ammunition without a hitch. The ejection pattern was consistent and did not damage the cases in any way, making it easy to pick up the fired brass for reloading. 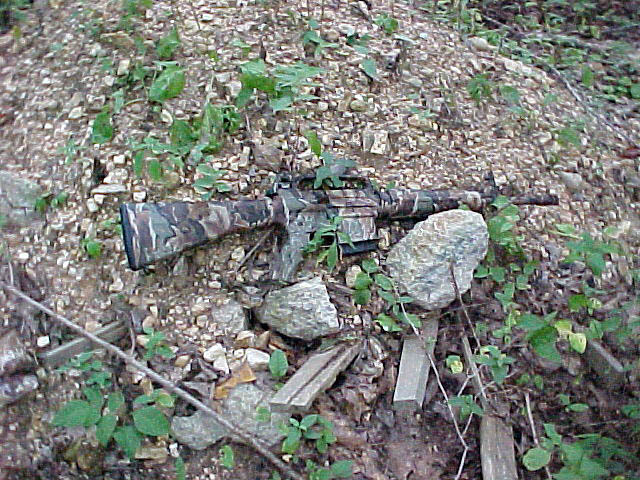 Felt recoil was very manageable due to the excellent muzzle brake and weight of the rifle. For accuracy testing, I mounted a 4 to 16 power Tasco target scope onto the rifle with a handle-mount Picatinny rail and Weaver-style rings. All testing was done in hazy, humid weather with a temperature of 86 degrees, at an elevation of approximately 600 feet. 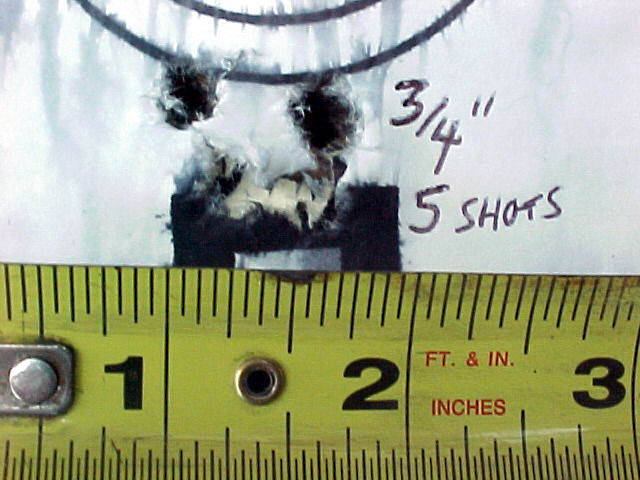 Accuracy with Lake City Arsenal military ball ammo grouped into the two-inch range at 100 yards. The best groups fired were with Federal Gold Match ammo, consistently producing groups of three quarters of an inch. This is great accuracy for rifle of this type. 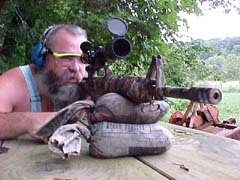 Bear in mind that this is not ArmaLite's dedicated target rifle, but a rugged and reliable tactical weapon. A weapon of this type capable of shooting 3/4 inch groups, with a cartridge that can penetrate hard targets, has a real future as a police tactical or military sniper rifle. 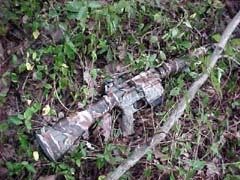 The AR-10A2 is also capable of serving as an excellent hunting rifle, that will give the local game warden nervous ulcers when you pull the rifle from its case. The AR-10 also has the accuracy and speed to perform well in target matches of the tactical variety. Overall, we were very impressed with the ArmaLite rifle. The list price on the AR-10A2 with the Realtree finish is approximately $1535 and comes with two ten-round magazines and a lifetime warranty. While not cheap, the weapon is still priced well below its nearest competition. For an accurate, reliable, and well-built rifle that can reach out and penetrate both hard and soft targets at long range, the ArmaLite AR-10A2 can fill the need, with durability and fast repeat shots. The ArmaLite can also use modified military M-14 twenty-round magazines for a sustained rate-of-fire. Check out all of ArmaLite's products on the web at: www.armalite.com, or call them toll free at: 1-800-336-0184. 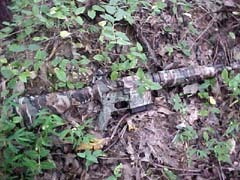 Author bench-testing the ArmaLite "Realtree" AR-10 rifle. Jeff considers this to be both an excellent semi-auto rifle for many purposes, and an excellent value. 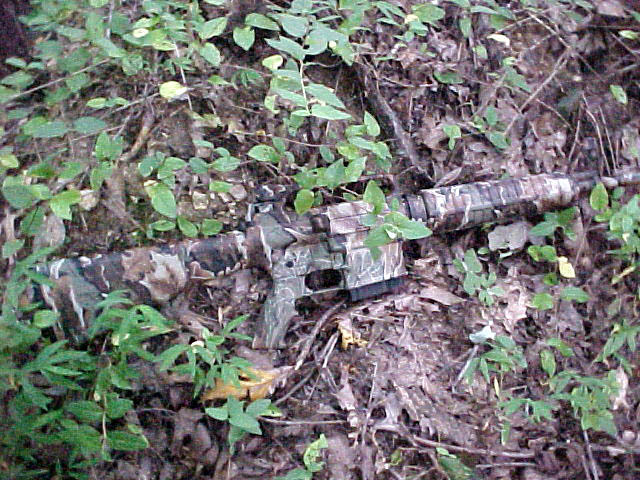 Realtree's "Advantage" camo pattern does a great job hiding the gun in various settings and light conditions. The Realtree "Advantage" pattern is evenly applied over the entire gun as a unit, giving a very uniform appearance to all but the smallest external parts. The quality of this finish is readily apparent to the eye, and has proven to be tough as well. ArmaLite's muzzle brake, along with the weight of the rifle, makes shooting the ArmaLite AR-10 a very pleasant experience. The ArmaLite AR-10 exhibited superb accuracy, especially considering that the model reviewed is not their "target" rifle. Federal Gold Match ammo produced 3/4" groups consistently as shown here. The AR-10's accuracy is more than equal to any task you may put before it. ArmaLite, long renowned for the quality of their weapons, has a winner here!